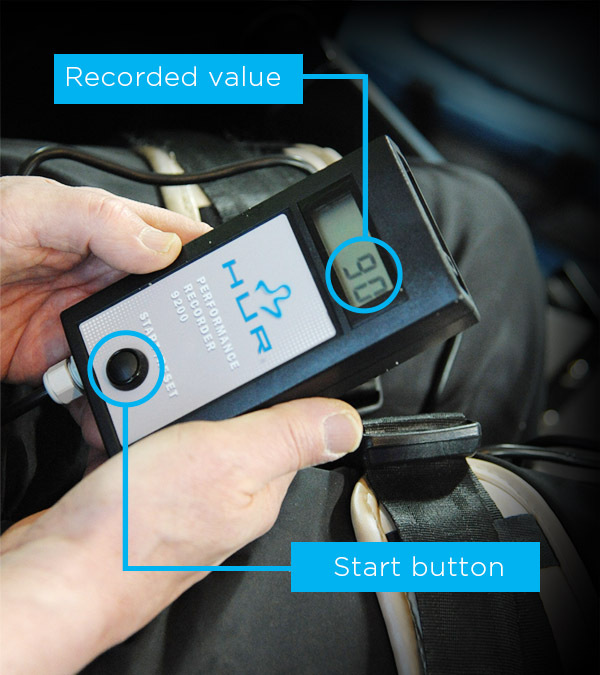 The Performance Recorder is a portable general-purpose device for measuring isometric strength. The Performance Recorder consists of an accurate industrial grade strength sensor (0-500 kg) and accompanying electronics which record the values form the sensor 100 times per second. The highest recorded force will be shown on the display. machine in a matter of seconds. This locks the lever arm in position and when you push against it the maximum force will be displayed. The Performance Recorder can also be used stand-alone or together with other manufacturers exercise machines as well (please note that connecting the device to other machines may require additional hardware and/or tools). Included is the HUR Performance Recorder PC-software which is a versatile tool for saving, analysing comparing and also reporting tests done with the Performance recorder. The software also holds a database used for storing groups and persons. 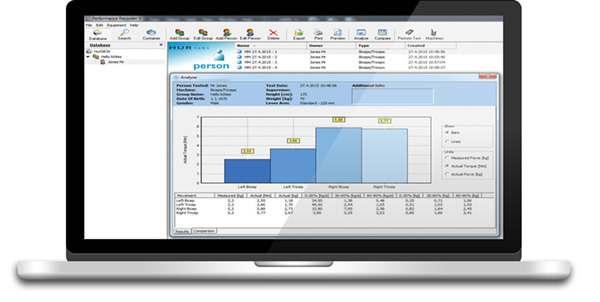 The Performance recorder software is compatible with the 9100 and 9200 models.